The summer of 2015 has had an ‘Arab Spring’ effect on British politics. From the month of May to the present moment, British Politics has never displayed two ends of the political spectrum so sharply than it has now. However, the biggest divide is not in the traditional ‘right’ vs ‘left’ idea, but in the core of the Labour Party. It is fascinating when you think about it- the values and principles of the Labour Party, established in 1900 were quite simple to follow. They were to help the poor, fight for decent living standards for everyone and make the system fairer. Back then, the system was in need of radical change. Those at the top of society- the bankers, aristocracy and wealthy were benefitting at the cost of those who worked for them. It was visible in day to day society, from the clothes people wore to the houses people lived in. The Labour Party came in and were the face and movers behind acting on the Beveridge report which was quite essentially, the birth of the welfare system and the NHS. On social levels, the Labour Party had been behind some of the key legislation changes in regards to homosexuality, divorce, abortion and ending capital punishment in the 60’s. In the year 2015- the values of the Labour Party are much more fragmented. British society has changed- mass immigration that has created a generation of tabloid hungry journalists set on making muslims and eastern european migrants scapegoats, a noticeable increase in benefits and then the credit crunch of the late 00’s has seen elements of British society polarise apart with the idea working people were suffering whilst people not working and on benefits were gaining more than they should have to without reason. This all contributed to leaving the core values of the Labour Party in question. Just what exactly was the extent of helping the poor? Had the expense of making society more fair backfired, making people lazy enough to not even contemplate the idea of working? The party that had created the welfare system were now also calling for reform, voters were turning to more simpler values again- the UKIP party being the next best option. The 2015 general election saw Labour have its worst defeat since the 1987 which followed with the resignation of Labour Leader, Ed Milliband. 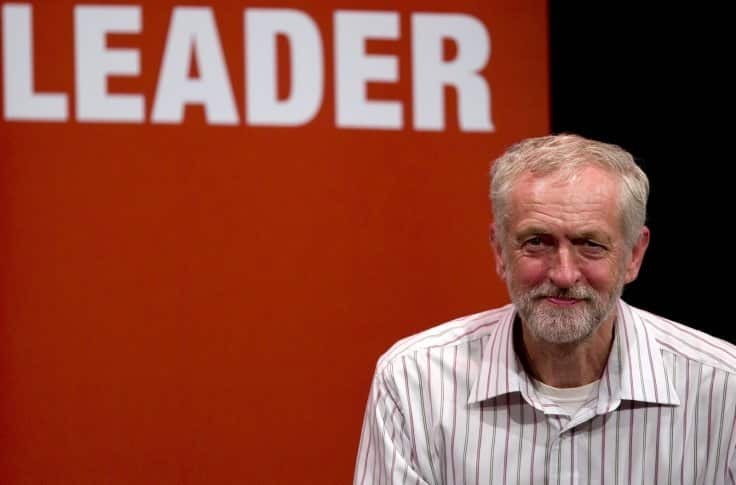 Now, the bid for Labour Leadership has seen one candidate stand out in particular- Jeremy Corbyn. A sudden contender to lead the party who will then go on to compete to be the British Prime Minister in 2020, Corbyn comes from a non traditional background usually not seen in British politics and has been the focus of controversy for many of his policy aims. He has shifted all eyes on him as he supports the freedom of Palestinians, opposes nuclear weapons, war in the Middle East, proposes a national education system modelled after the NHS, calls for banks to focus on the people and for an immediate end to austerity. Compared to the others bidding for Labour Leadership- Andy Burnham, Yvette Cooper and Liz Kendall, Corbyn offers a radically different solution to the problems Britain is facing. He has also garnered the opposition of prominent centre right Labour, the most noticeable being Tony Blair who has attacked Corbyn’s vision for being ‘old-fashioned’ and the ‘Tory preference’. According to a recent YouGov Poll- a staggering 53% of Labour members have voted ‘Yes’ to Corbyn becoming the next leader of the party, which raises an important question. In the 21st century, just why are people entertaining the idea of, possibly- going back to a 1980’s Britain? A voice of the people– This is quite literally it. Corbyn may be a politician, but he conveys to everyone with honest integrity, he is representative of the people. Not only do his beliefs define this, but as a future Prime Minister- he fosters this ‘voice of the people’ quite literally. He has been criticised by Conservative MP for looking ‘scruffy’ and gave an excellent response. “It’s not a fashion parade, it’s not a gentleman’s club, it’s not a banker’s institute; it’s a place where the people are represented”. Personally speaking, this is what a party needs to keep its members united. 2. Getting rid of nuclear weapons– Corbyn is a strong supporter of the ‘Stop the War Coalition’ which also opposes the 100bn renewal of Britain’s missile Trident. This is something that Labour has failed on in the past before, and to normal people it seems more like evading much needed spending on public services to keeping a weapon of destruction alive. 3. He wants to cut tuition fees– Automatically, this gets the support of as many students out there in Britain. The summer budget of 2015 saw the Conservatives pledge for maintenance grants to be cut- a move which no doubt, effects the poorest of our society. Instead, the grants would be replaced by loans- adding more debt to students who don’t have the bank of mummy and daddy to help get them through it all. Not only this, but Corbyn plans to introduce a national education system- another controversial decision, but makes a compelling argument seeing education as a ‘collective good’. 4. To ensure another Conservative success in 2020– A lot of concern has been raised by some that Corbyn can not win a general election and that he will create a mess if elected Labour Leader. There have also been comments made that Corbyn is the ‘preferred’ Labour candidate for the Conservatives. However, on the flip side- the Conservatives should also be aware that even if Corbyn loses- he will be a strong force behind the face of the party reminding Labour what its values should be. 5. Uniting or dividing the party– You can not deny that Corbyn is the force that is causing a much needed debate about Labour, in terms of what their values are and what it could be. This leadership competition has caused 66,000 people to join the labour party- an obvious indication that there is hope, although that hope might be teetering on a knife edge. Corbyn has the potential to make or break the party if elected, but we can rest assured that one thing is clear- socialism in its purest form, as advocated by the Labour Party aims of the 1900’s is not dead. Personally speaking, Corbyn was the reason I joined the Labour Party, I wanted to see real debate about issues that effect the people at the bottom, to the top of society and policy reform- something I felt only Corbyn could offer. These are just a few of the reasons why people are tipped to vote for Corbyn, but I will not be surprised if heads are turned during the last minute. The bulk of politics is unfortunately, a game of strategy. At the end of it all, even if Corbyn does lose, he could be the first to bring back some key questions into British politics for debate. I mean, honest politics- really? Gosh.